May Day is one of those old fashioned holidays that brings with it fun traditions...If you have never heard of May Day, research it. 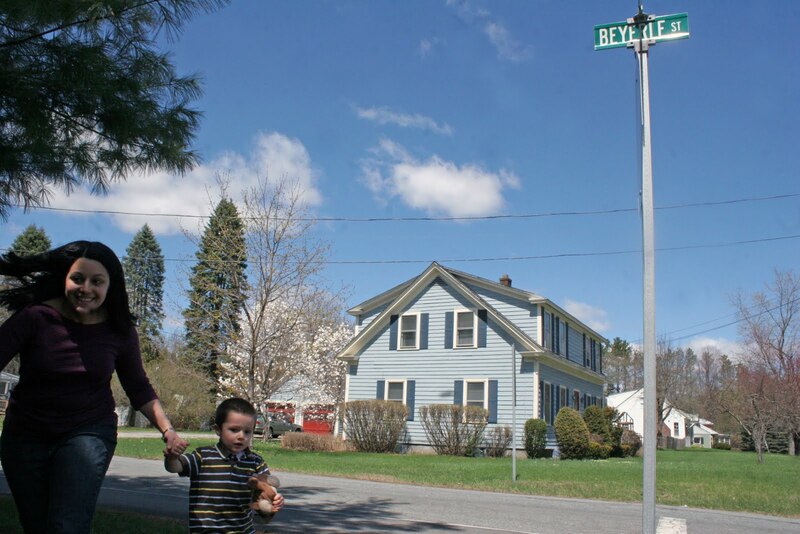 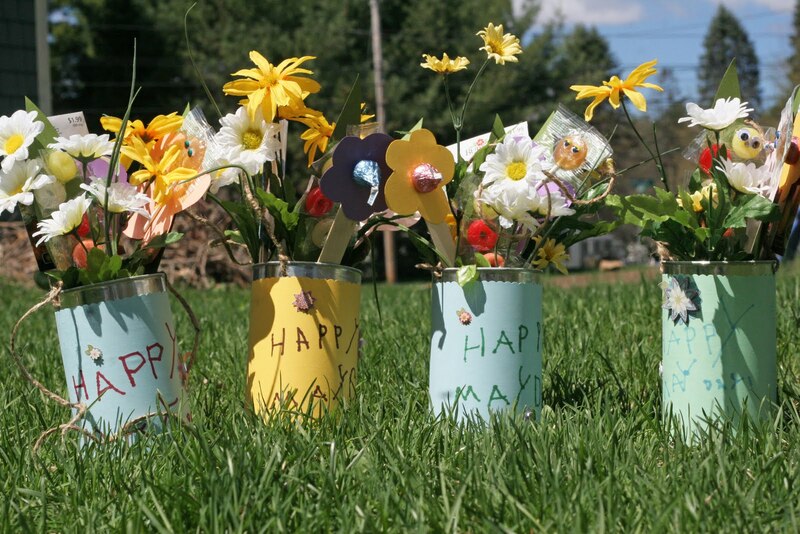 There are old traditions of may poles, but even more fun, May Day baskets. The tradition is to leave baskets of flowers or treats on a doorstep, and run away before the gift receiver catches you. The boys and I had fun making May Day baskets out of recycled tins, an idea inspired by this and this. 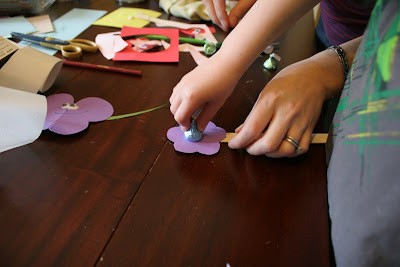 Since we were making these for kids, we decided to forgo fresh flowers for paper flowers and leaves decorated with candy. 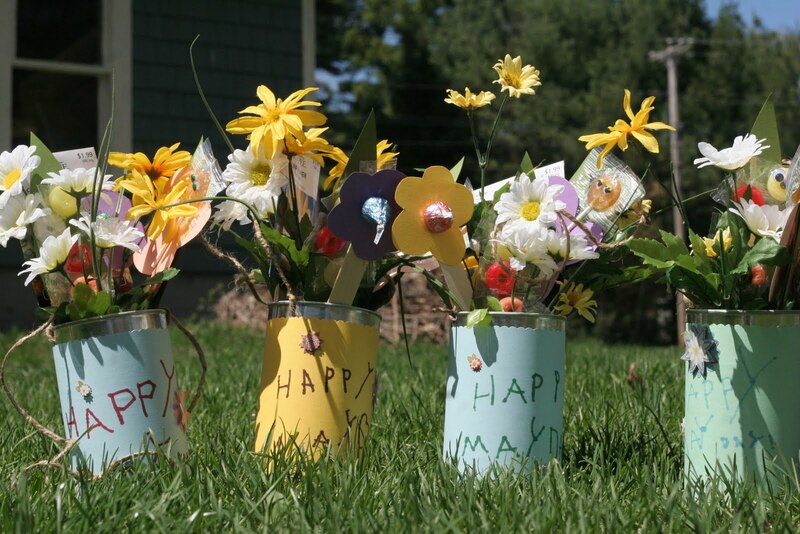 We did include some silk flowers and flower seed packets in our May Day tins. 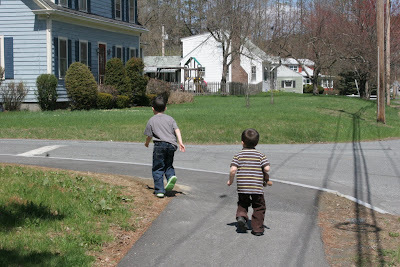 All pictures in this post were taken by Travis. Travis had just as much fun as we did celebrating May Day for the first time. 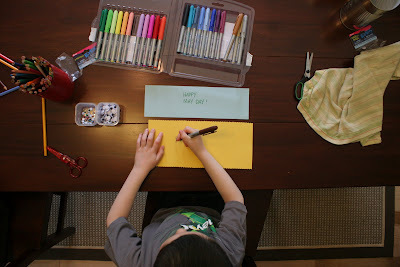 We covered our recycled tins with cardstock paper. 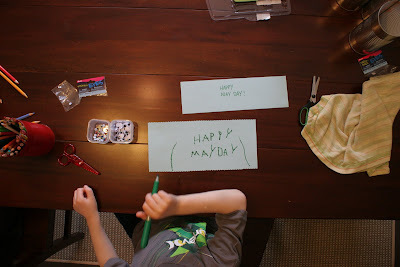 The edges were cut with scalloped scissors, and a Happy May Day greeting was written by Jack. 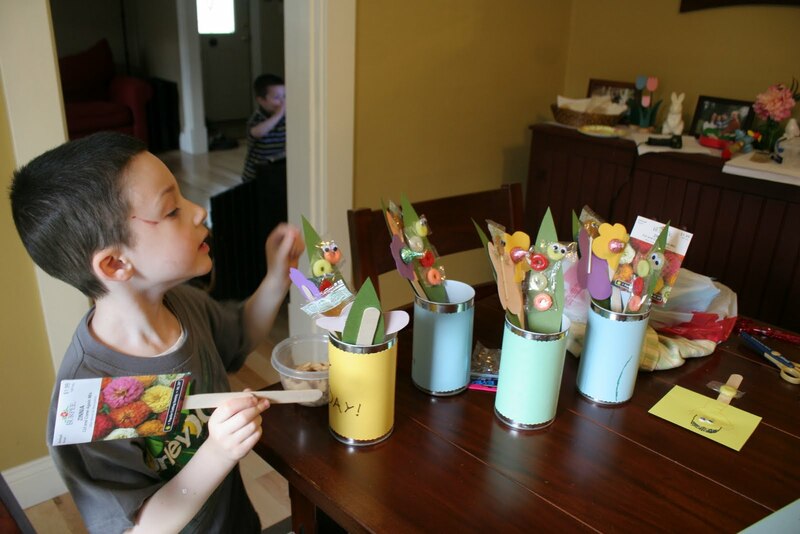 Jack was very excited to be a part of making these May Day tins. 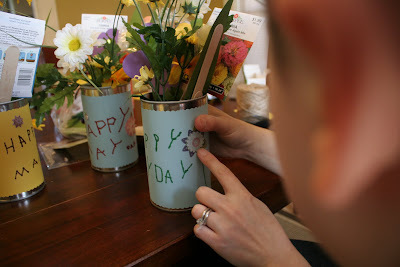 I secured the cardstock to the recycled tins using a hot glue gun. Ethan had fun writing his own greeting in toddler language. I made extra long stems by doubling up craft sticks (overlapped and glued with the hot glue gun). 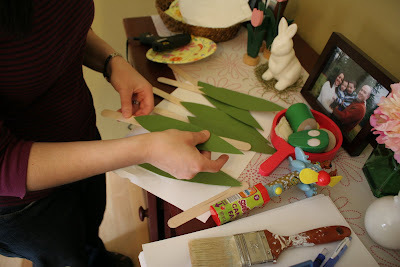 We made green leaves for half of the sticks. We made flowers and attached hershey kisses for the centers. 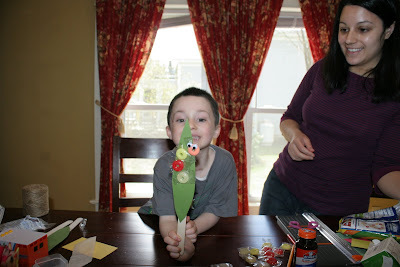 We also made butterflies and used lollipops for the head of the butterflies. We attached googly eyes to the lollipops for the butterflies. We also used lifesavers and googly eyes to make caterpillars on some of the leaves, using glue dots. 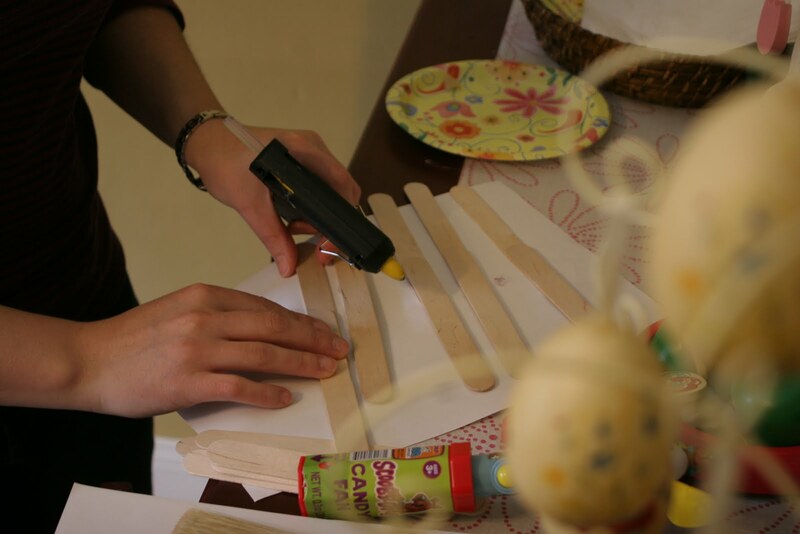 Zinnia Flower seed packets were also secured to the craft sticks using glue dots. Jack filled in the tins with silk flowers. 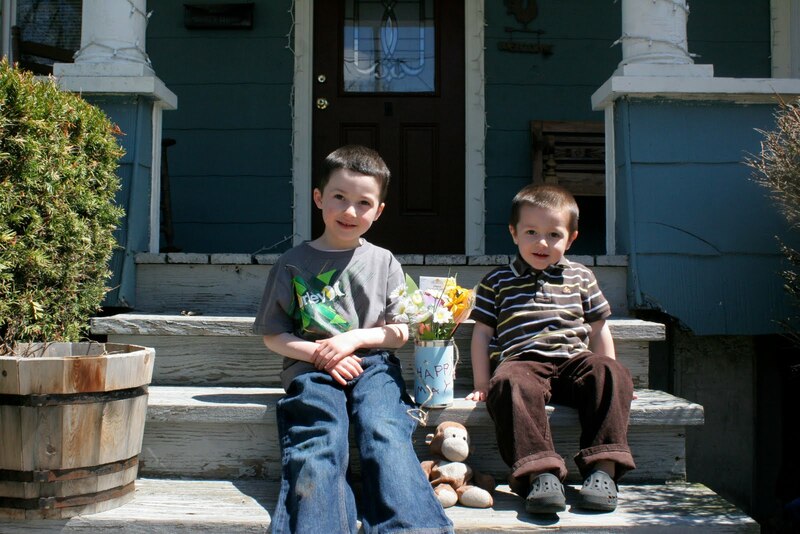 Perfect addition. 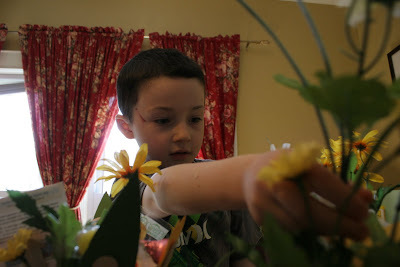 A few 3d flower stickers decorated the outside. To make a handle for the tins, use a drill to make two small holes on the top of each side. 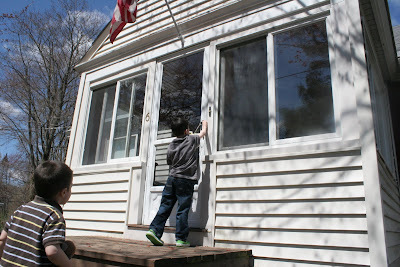 You can use a wire coat hanger or thick twine like we used for the handle. 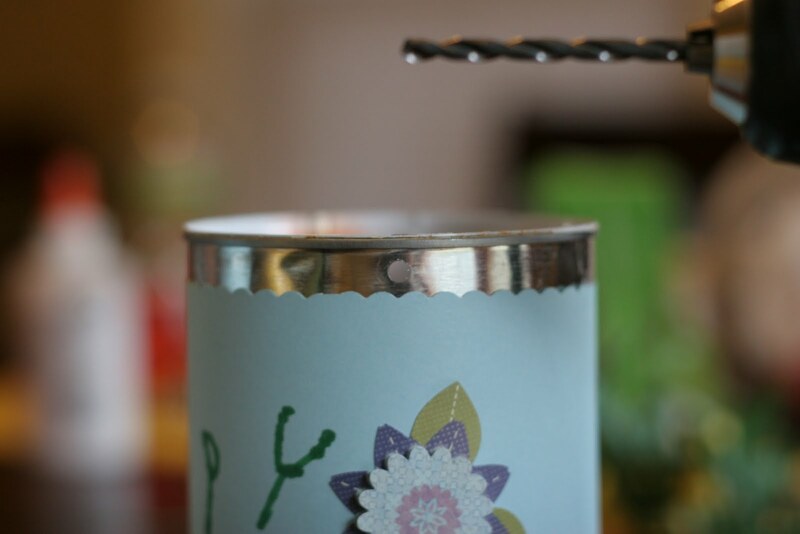 This allows you to hang the tins on doorknobs if you wish. 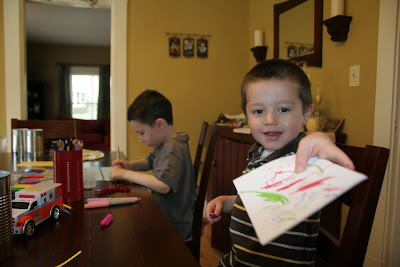 Here they are all finished. We filled in the base of the tins with extra candy. 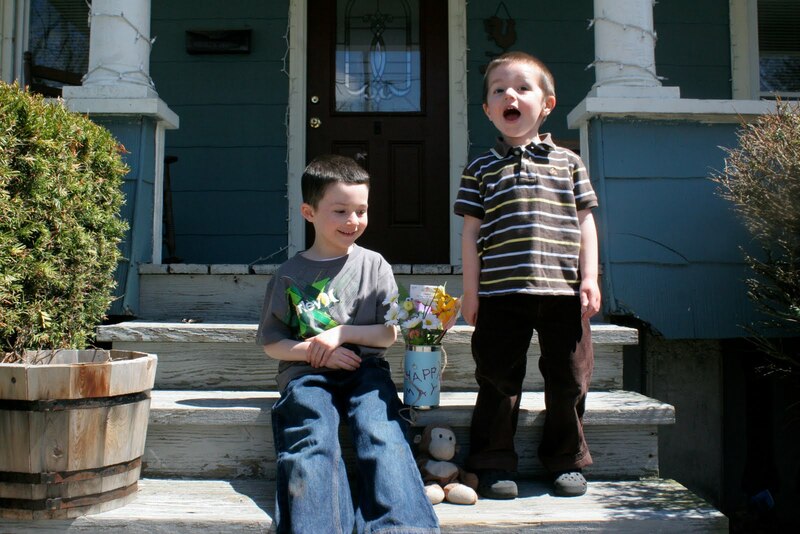 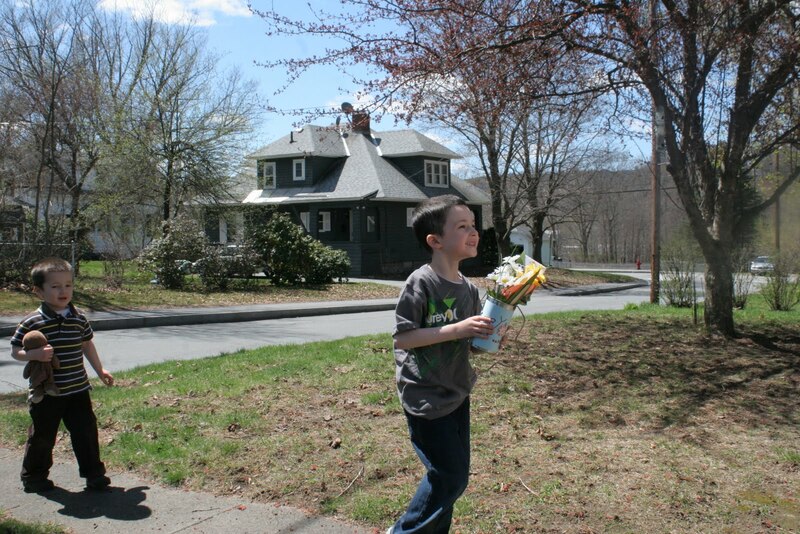 Jack and Ethan were very excited to deliver the first May Day tin to some special friends who live across the street. Okay, we were a day early, but they couldn't wait. Let's Go! Dirty Monkey came too. 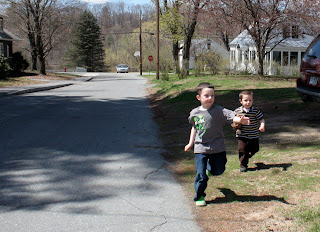 Quick, before they see us! You guys are so sneaky! 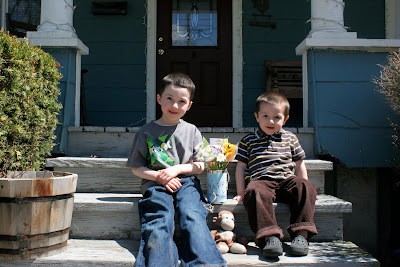 Thank you for the gift! The boys know Miss Jen loves daisies :) Happy May Day to you too!